AHM listed this model as the K-2 Mikado in its 1980 catalog. The 1981 catalog notes this model features a Long Haul Tender. 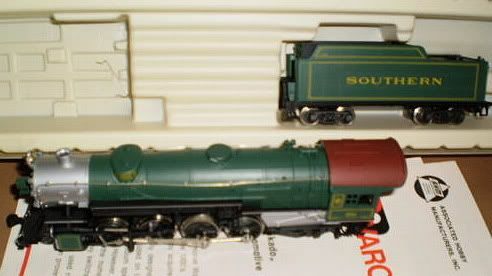 For 1981, AHM has a pair of Great Northern Mikado models. This example has a USRA Tender; the other GN Mike featured a Vanderbilt Tender. AHM's 1980 catalog refers to this model as having "Deluxe Paint," this green Southern Mike carries number 4501. AHM's first Mikado offering, this model appears in the line around 1980 and is priced then at $198.98. 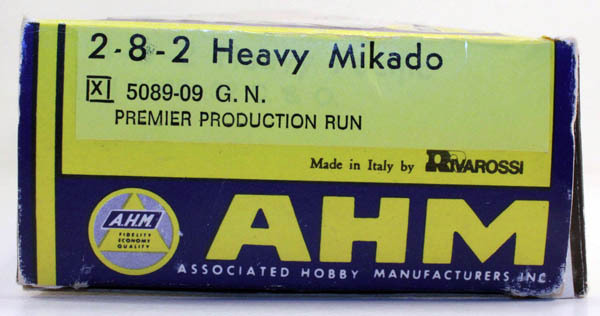 In addition to this Rivarossi-made 2-8-2 Mikado, AHM's 1981 catalog also includes the announcement of its Smoking "Big Mikes" made in Yugoslovia by Mehano. The Rivarossi Mikado is last among the AHM line in 1981. 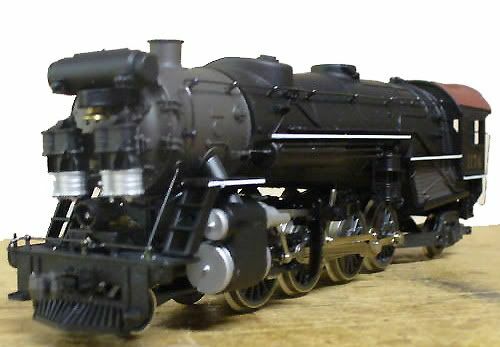 This USRA Mikado 2-8-2 was among the last of the Rivarossi Italian-made imports to be included in AHM's product line. Above are the 1976 AHM Parts Sheets for this model. You may click on either image to open a larger version for best viewing.